I am losing precious days. I am degenerating into a machine for making money. I am learning nothing in this trivial world of men. I must break away and get out into the mountains to learn the news. Putting the words ‘news’ and ‘mountains’ together like this seems strange today. Of course, in Muir’s time many mountains were yet to be climbed. But in the 21st century – and in Europe – there are no more discoveries to be made. The mountains are no longer news. Nothing happens in the mountains. Or does it? 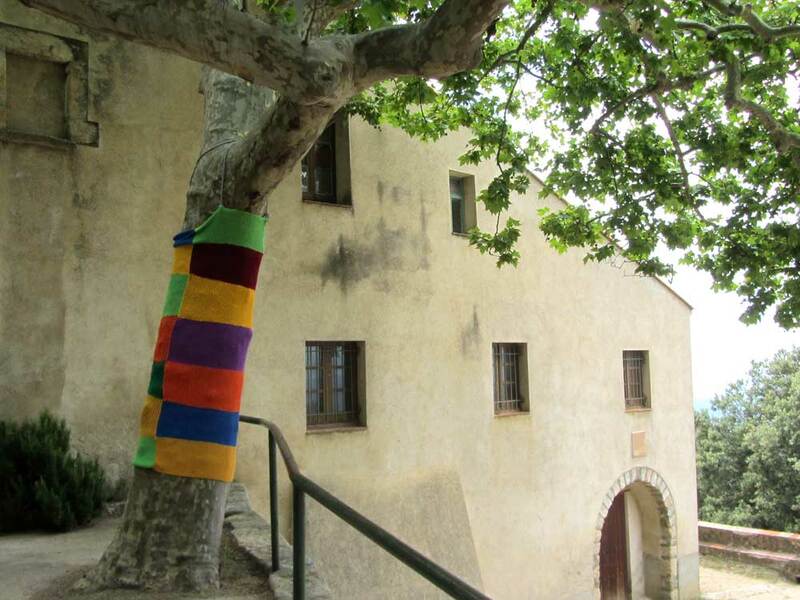 I have been thinking about how we view the mountains after seeing a new film: ‘Les Pyrénées, de l’Atlantique à la Méditerranée’ (see trailer below). It shows the Pyrenees in all their beauty, with the cameraman swooning at the majesty of the peaks. It ticks all the boxes. So why am I disappointed? Because it is written like a fairy story. Although shepherds feature in the film and bears get a mention, nobody is angry. Nothing, but nothing was likely to shock the ageing audience out of its mid-afternoon torpor. As far as this film is concerned, the mountains are postcard-pretty scenery air-brushed with pink nostalgia. Do not disturb. But that’s not how I see the Pyrenees. There is news, if only you know where to look for it. In 1995 the Pyrenees were home to five bears, three ibex, and no known wolves. 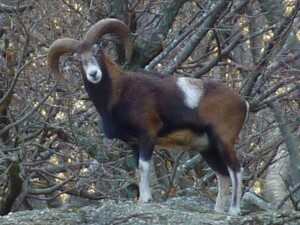 By 2000 the last ibex was dead. Now, as a result of both deliberate and accidental rewilding, over thirty bears, sixty ibex, and a handful of wolves roam the mountains. A total of eight bears were imported from Slovenia in 1996 and 2006 with the second batch being greeted by demonstrating farmers disgusted by the attacks on their sheep, outraged by outside interference in the hills which they have managed for centuries. Despite an international commitment to creating a viable population, no government has dared to repeat the process, relying on natural growth to fulfil its obligations. The issues are much more complex than the two sides of the argument wish to acknowledge, but the fundamental question is about ownership: whose mountains are they? Video of Caramellita and her three bear cubs in Pallars-Sobrira (Catalonia), filmed in January 2016. The unusually mild winter has delayed their hibernation. The reintroduction of ibex, which started in 2014, is completely uncontroversial. Even the bears like them. For the moment the number of births has been disappointing and more reintroductions are planned for 2016. 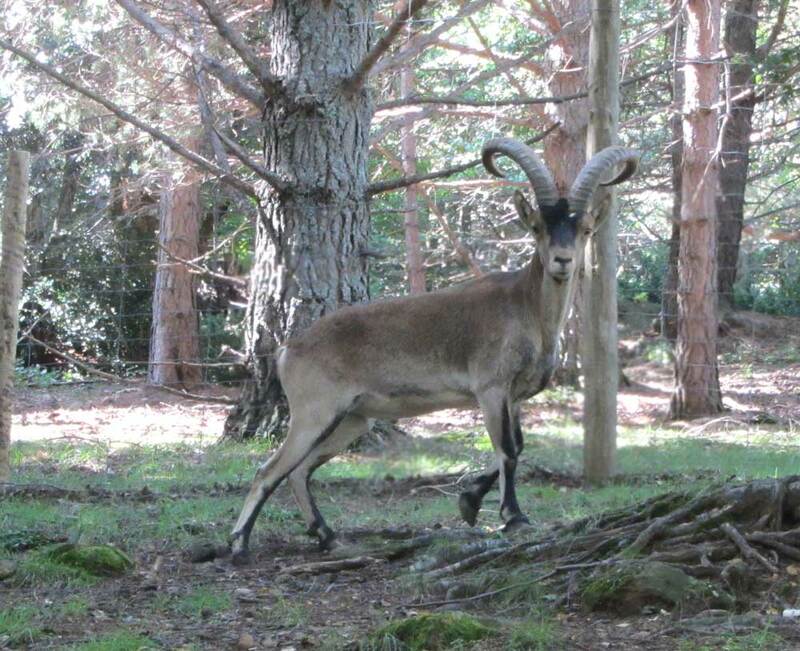 More on ibex. It may seem strange, but it was the reintroduction of hazel grouse into Spain which facilitated the reintroduction of ibex into France. The Spanish authorities had been reluctant to compromise their country’s monopoly on ibex hunting, worth up to 20,000€ for a perfect pair of horns. But in reintroduction realpolitik, if you want birds you may have to trade them for ibex. 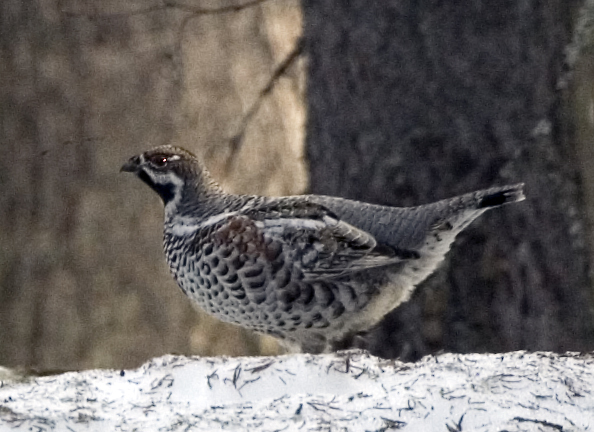 The local council in the Val d’Aran, geographically north of the Pyrenean watershed, but politically in Spain, has wanted to reintroduce the hazel grouse for some time. Although occasional sightings have been claimed in the last forty years, the bird had effectively disappeared from the Pyrenees during the 20th century. The main problem was sourcing the birds. Although they are widely present in Russia and Scandinavia, and not in immediate danger of extinction, the nearest suitable source was the French Alps. But how was the transfer to be organised, especially given the limited numbers available? 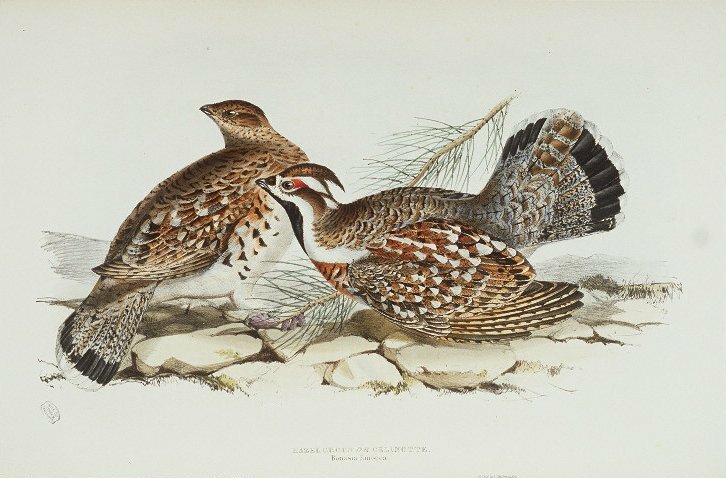 The hazel grouse found itself listed alongside the ibex in the tri-national Stratégie Pyrénéenne de Valorisation de la Biodiversité (Pyrenean Biodiversity Strategy). Which is why French willingness to test the reintroduction of hazel grouse in 2011 was a determining factor in the release of ibex from Spain in the French Pyrenees. Meanwhile the 2011 tests have been evaluated. Of the eleven birds released – all equipped with transmitters – five died and two went AWOL. Hazel grouse have a low over-winter survival rate anyway but it seems that the only surviving female failed to lay any eggs. So the experiment was judged neither a failure nor a success; the rest of the program is still being debated. The Muséum National d’Histoire Naturelle (French National History Museum) has just published its opinion on the subject, along with an interesting collection of background information. Wolves have come back of their own accord, from Italy. They are present, at the eastern end of the Pyrenees and in Aude, in very limited numbers. But farmers are worried, alerted by the situation in the Alps, where over 300 wolves are present. Official figures talk of 9033 animals, mainly sheep, attacked in 2014. Bears, ibex, hazel grouse, and wolves are the most recent developments, but let’s not forget marmottes, first introduced in 1948, mouflons (1957) and griffon vultures, protected since 1974 at a nesting site in the Ossau valley (Pyrénées Atlantiques) and once again present throughout the massif. This entry was posted on Tuesday, February 9th, 2016 at 2:56 pm	and is filed under Uncategorized. You can follow any responses to this entry through the RSS 2.0 feed. You can leave a comment below, or trackback from your own site.